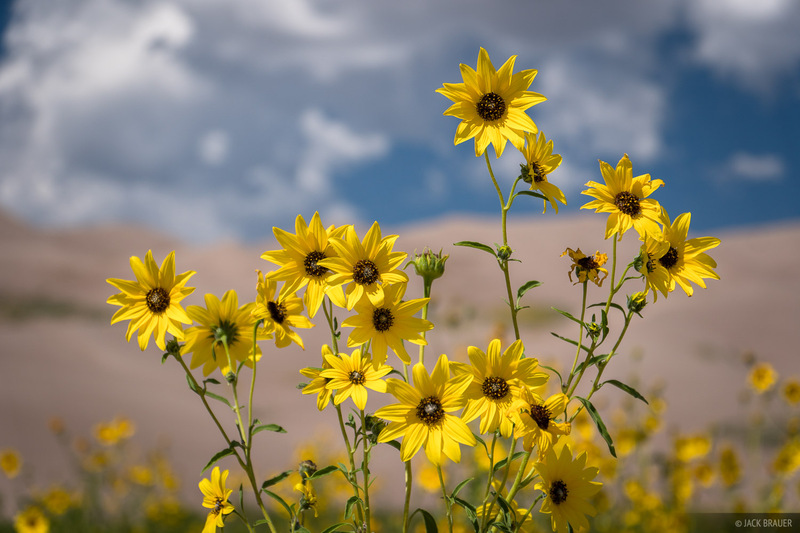 While backpacking to South Zapata Lake for a night, we got a good view of the Great Sand Dunes and I could see vast fields of sunflowers all around and in the dunes. 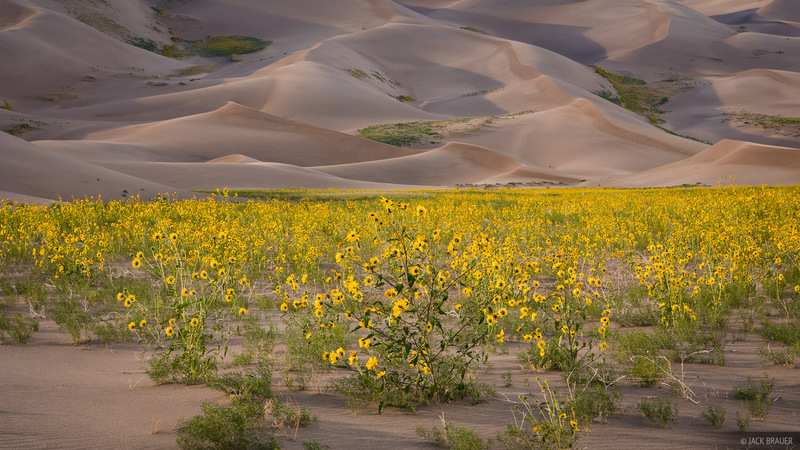 I took a mental note of where the largest sunflower fields were and the next day we hiked into the dunes towards these areas. Though we intended to camp in the dunes for the night, enormous thunderclouds rolled in and scared us out of there! Fortunately I was able to photograph the sunflowers without getting struck by lightning! 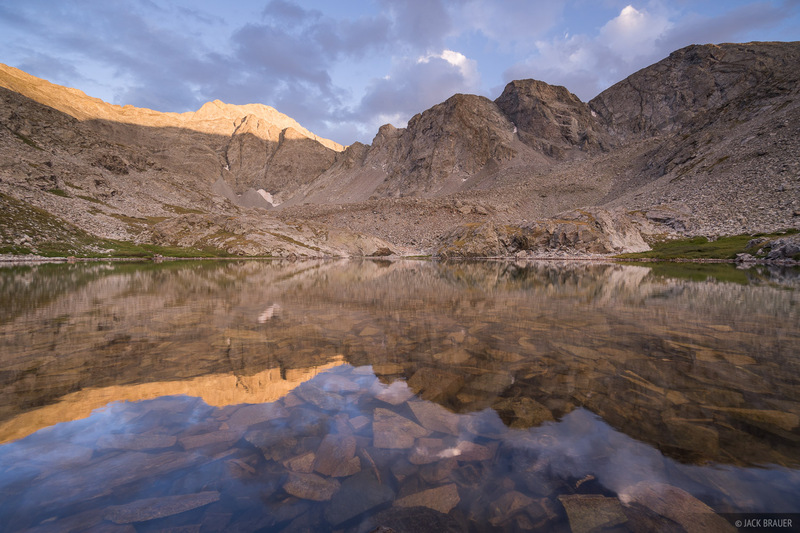 We almost never camp above treeline due to a natural aversion to lightning, but near South Zapata Lake we found a nice looking open tundra spot that looked fairly protected, or so we convinced ourselves. Sure enough in the middle of the night we awoke to raindrops on the tent and the low rumble of thunder. Not knowing how heavy the storm would be or how long it would last, we grudgingly decided to get out of there and hauled the still-pitched tent about a half mile down to the forest! 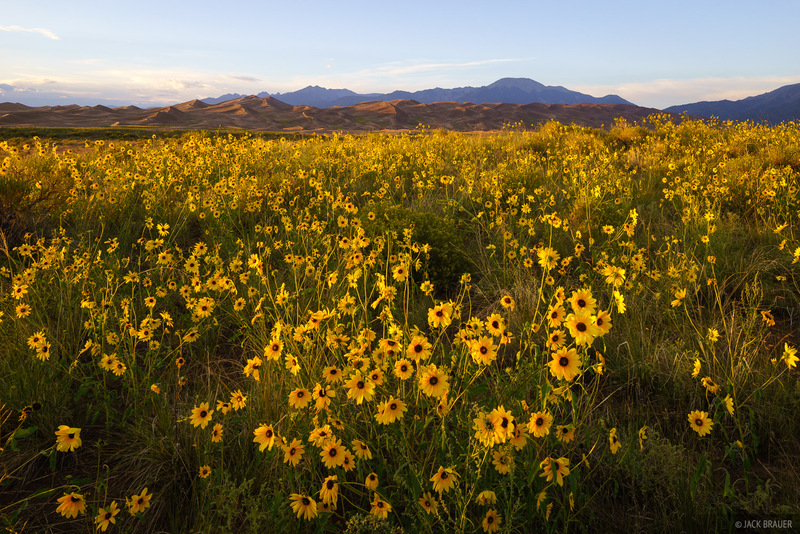 Praire sunflowers at sunset next to the Great Sand Dunes. From Zapata we headed down to the dunes to walk towards the big fields of sunflowers that we had seen from above. 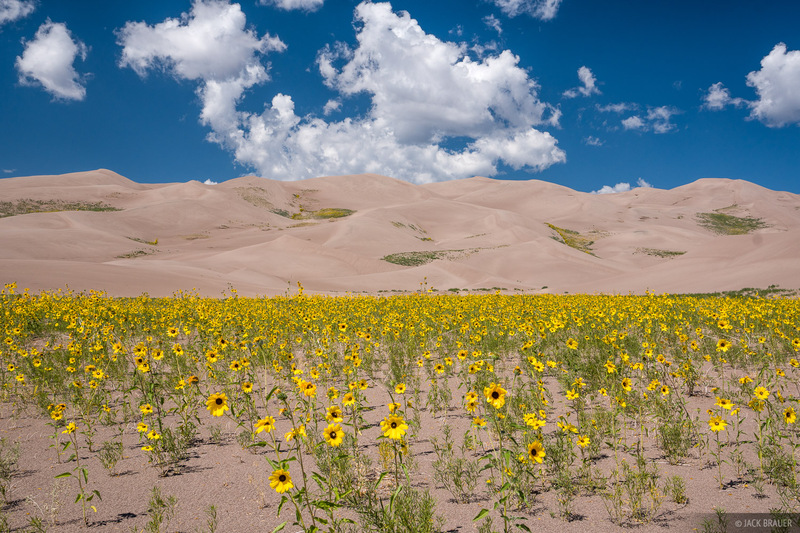 It was so unique to see so many yellow flowers in the midst of the pure sand dunes. 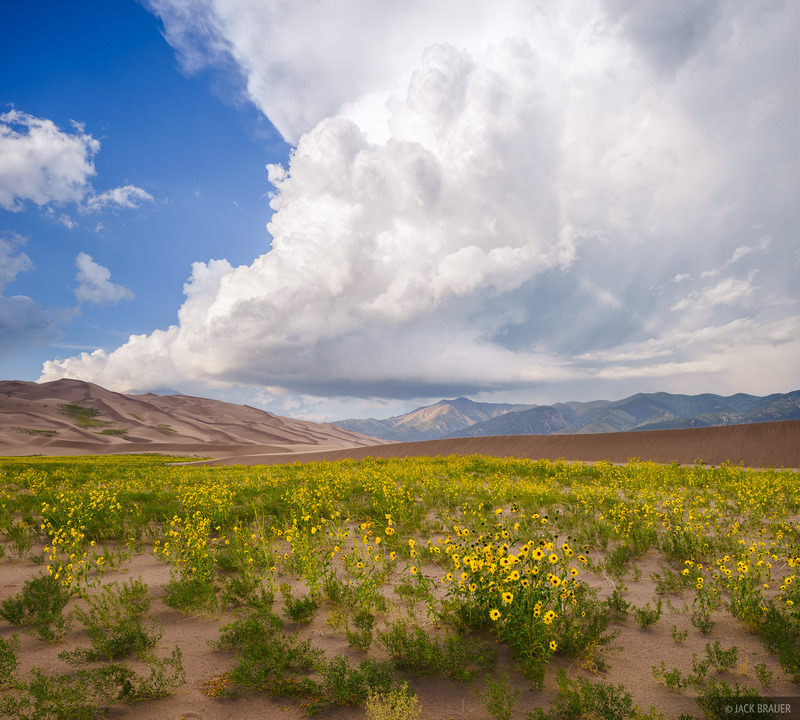 Praire sunflowers in the Great Sand Dunes, with a massive thundercloud towering beyond. 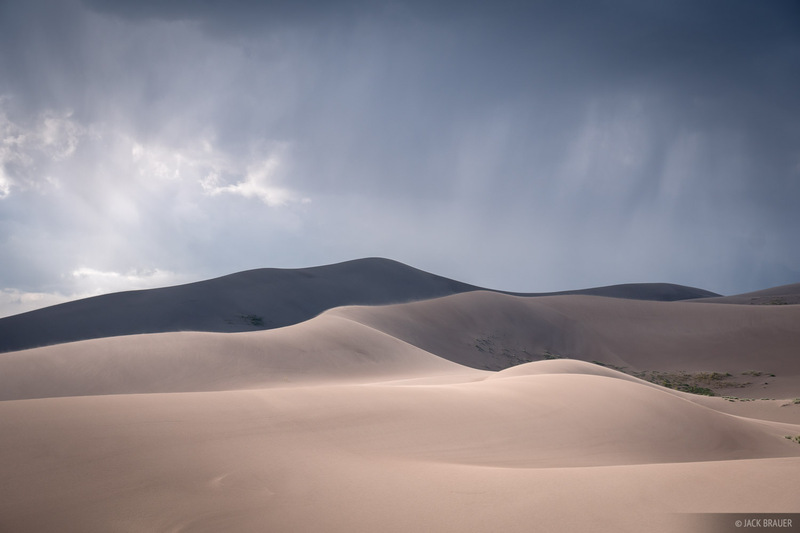 Thunderclouds and rain roll over the Great Sand Dunes. Here you can see the underbelly of one of the big thunderclouds that rolled through and scared us away from our planned camp in the dunes! We waited for a while on the edge of the dunes below a cottonwood tree until finally we pulled the plug and headed back to the truck. 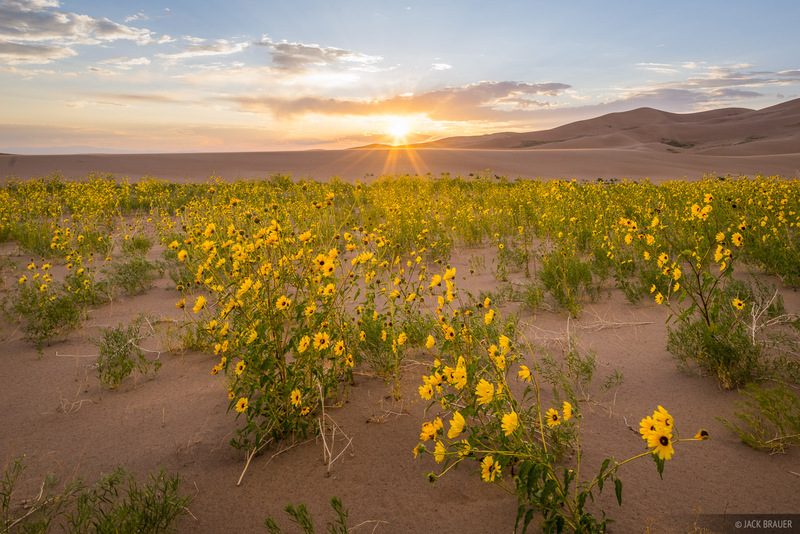 Praire sunflowers at sunset in the Great Sand Dunes. 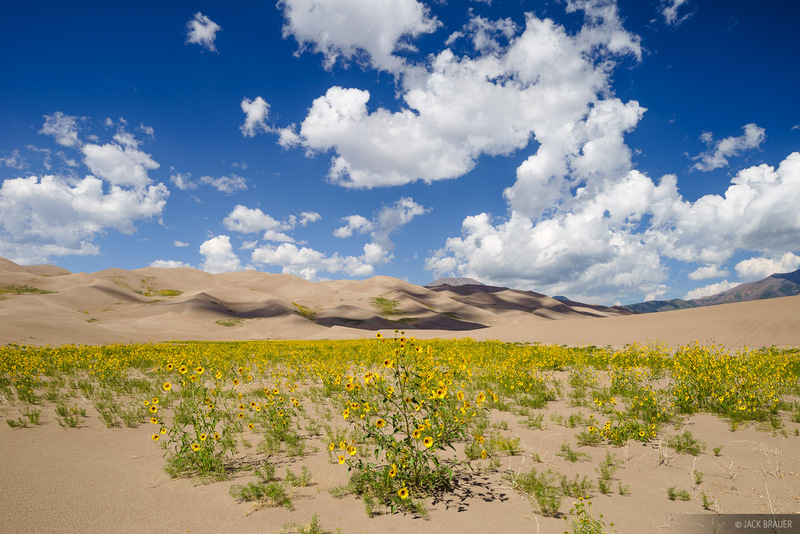 See all my photos from the Great Sand Dunes here! Posted in Colorado and tagged Colorado, Great Sand Dunes.